Anna S. Encinias is an associate attorney at Contreras Law. Her practice focuses primarily on family law matters. Ms. Encinias’ experience includes dissolution proceedings, child custody and visitation, establishment of parental relationships, child support, spousal support, post-judgment modifications, mediation, preparation and review of marital settlement agreements, and both the preparation and defense of domestic violence restraining orders. She also assists with bankruptcy cases. Attorney Encinias is a member of the State Bar of California and the United States District Court for the Southern District of California. Ms. Encinias attended University of California San Diego where she graduated with a degree in Political Science. She then obtained her Juris Doctor degree from Thomas M. Cooley Law School, now known as Western Michigan University Cooley Law School. Ms. Encinias is fluent in English and Spanish. 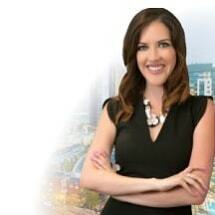 She is a member of MANA De North County San Diego and the San Diego Bar Association. In 2013, Ms. Encinias volunteered at Center for Community Solutions in North County assisting the Spanish speaking community focusing on victims of domestic violence.